It’s May 18, and people around the world are celebrating International Migratory Bird Day. At joint ceremonies in Ottawa and Washington, the North American Bird Conservation Initiative releases the long-awaited The State of North America’s Birds Report 2016. And 9,000 kilometres from his home in Tokyo, Hobun Ikeya sits in a boardroom at Oak Hammock Marsh, listening intently to a presentation about crop damage prevention: one of Manitoba’s provincial waterfowl management programs. 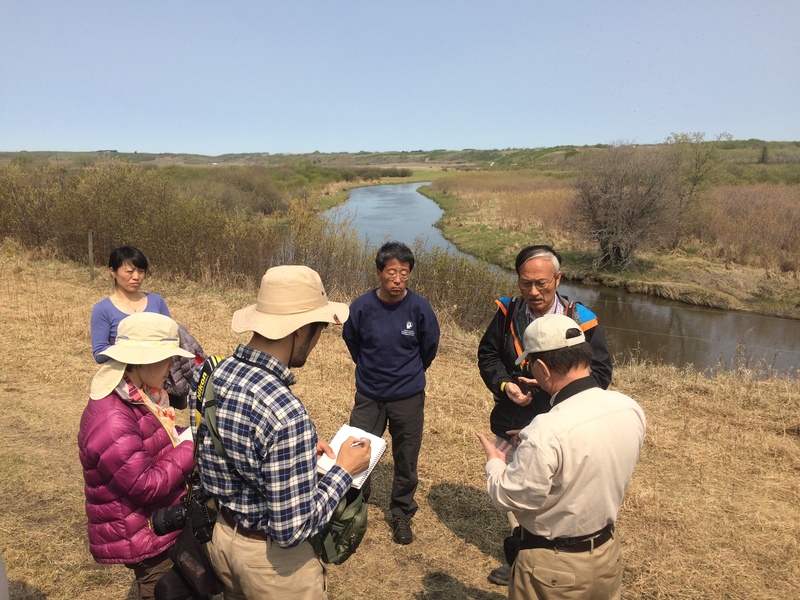 Ikeya, president of the Ecosystem Conservation Society of Japan, is here with a handful of society delegates and Kenichi Yoshiya, their U.S.-based interpreter and executive director of the society’s Virginia office, to learn more about North American conservation programs and partnerships. 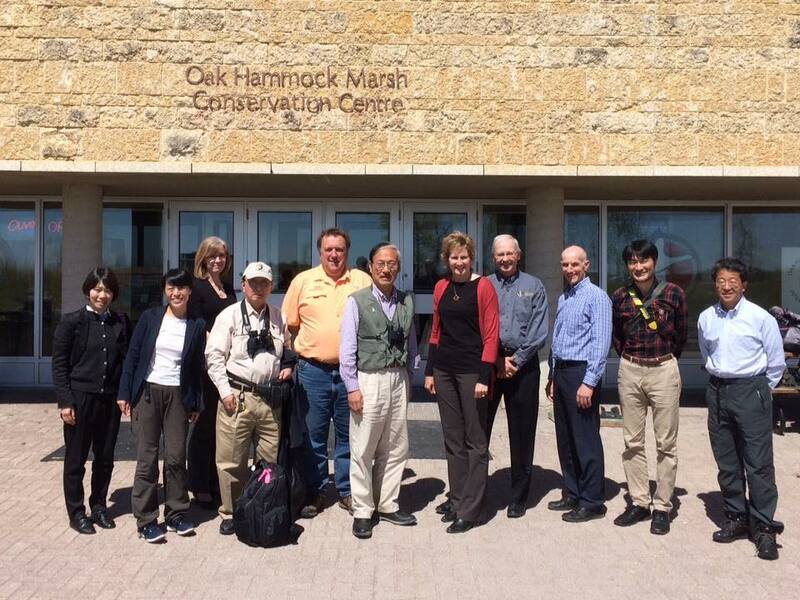 Ecosystem Conservation Society of Japan delegates visited Oak Hammock Marsh, Man. as part of a tour to learn more about North American waterfowl conservation programs and partnerships. Today, they’re at the tail end of a whirlwind U.S./Canada tour that began with tours of North American Waterfowl Management Plan projects along the Carolina Coast. 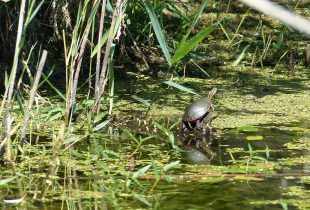 So far, they’ve had a bird’s eye view of prairie pothole wetlands, toured conservation projects, met farmers, got close to garter snakes at Narcisse and invasive carp at Delta Marsh, enjoyed a home-cooked meal of wild game, and heard from many experts. They’ve also seen an amazing variety of wildlife. 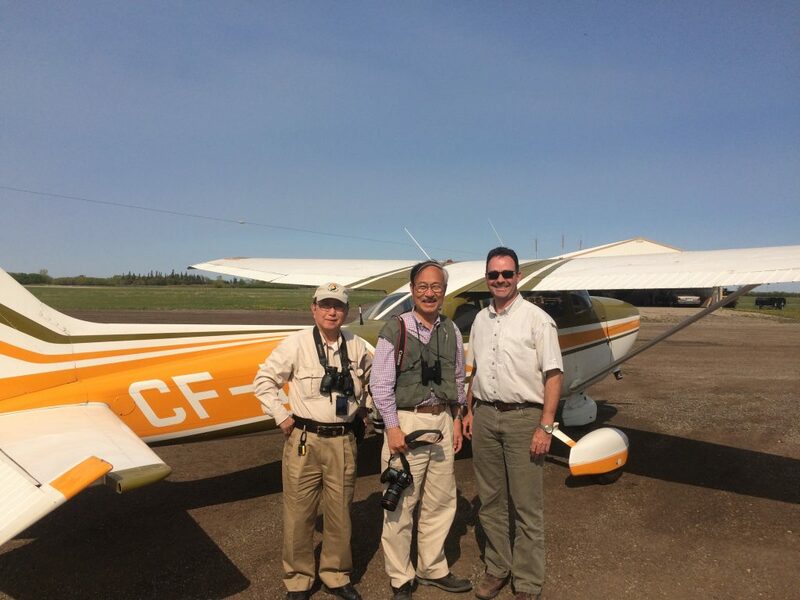 Ecosystem Conservation Society of Japan president (centre) and interpreter Kenichi Yoshiya (left) enjoyed a bird’s-eye view of Manitoba’s prairie potholes during a flight tour with Mark Francis, DUC’s head of conservation programs for Manitoba. It’s an experience worlds away from their home country, where Ikeya and other Conservation Society members are rallying hard to protect and restore dwindling natural landscapes, and the wildlife that depend on them. But they’re in a race against time and the economic forces that dictate how these natural areas get used. Factories, industrial parks, highways, dams and other infrastructure usually win at the expense of the ecological goods and services healthy ecosystems provide. In Japan, when agricultural land is no longer farmed, it is rarely converted back to its natural state. 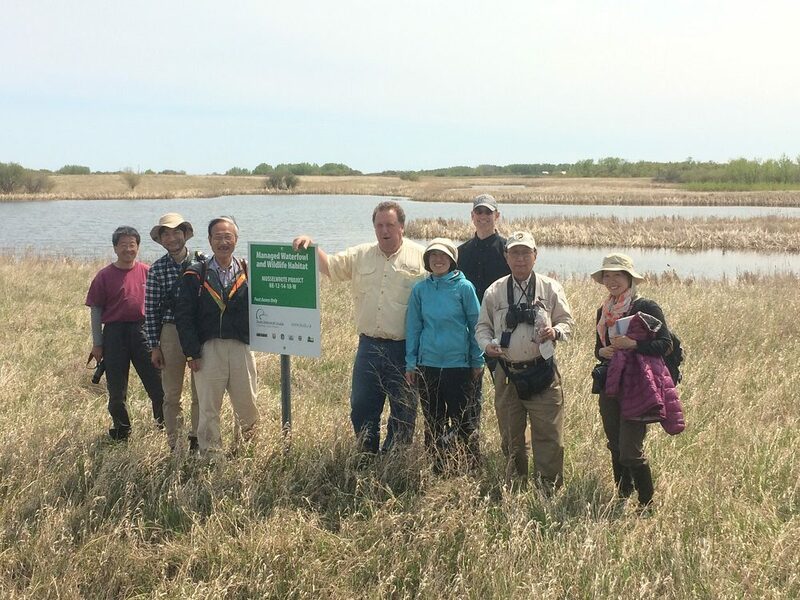 Visitors from the Ecosystem Conservation Society of Japan tour a Prairie Habitat Joint Venture project in southwestern Manitoba. Seeing through their eyes, Kehoe says he had many powerful reminders about Canada’s incredible natural wealth. 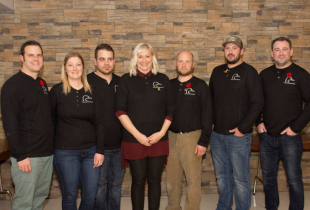 The group were also interested in how much revenue North America’s hunters generate for conservation through duck stamp purchases, for example. “It was a new and novel concept to them,” says Kehoe. On this last full day of the tour, Ikeya is able to reflect on his experiences. 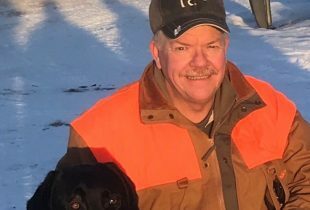 He’s diplomatic on the subject of garter snakes (“I don’t like or dislike them, I’m somewhere in the middle.”) but now holds a strong belief in the value of conservation partnerships. Ikeya says he and the rest of his group will share these stories of successful conservation both at home and internationally. When the day is over, he’ll present each of the speakers with a scarf, imprinted with drawings of Japanese crested ibises and Oriental storks: two bird species no longer found in Japan. For Ikeya, it’s a small gift with profound meaning, on a day that celebrates the world’s migratory birds. “We are facing a ‘Silent Spring’ in Japan,” says Ikeya, referring to the 1962 book by environmentalist Rachel Carson. Hobun Ikeya gave each presenter on the tour the gift of a scarf imprinted with drawings of Japanese crested ibises and Oriental storks: two bird species no longer found in Japan.